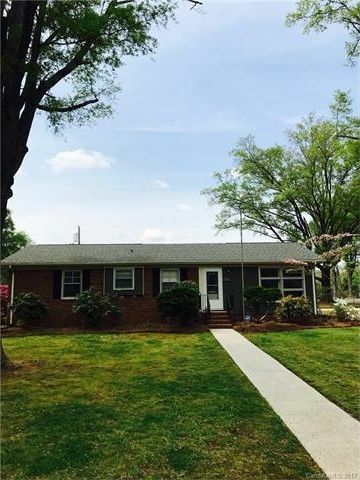 Charming ranch on corner lot in sought after downtown Concord! Nice flat fenced backyard, large shed with power, RV Carport, large covered patio! Home office with separate entrance. Spacious open Dining room, kitchen has double oven, smooth top range, white cabinets. Lots of tile and hardwood floors! Spacious Master with private half bathroom. Third bedroom has a sitting room that was being used as a fourth bedroom area. Cozy den w/Gas logs, large laundry closet with cabinets! Directions: From Downtown Concord: South on South Union, right on Fryling, home is on right.